With it being March currently, we know that you’re feeling the Spring fever. The fever to get rid of everything you own and start fresh. While a good organizing session might require letting go of some of your items, it might also require thinking of new ways to store old items. Clean out your closets, pantries, garage and more and find the unnecessary items. Let go of what you absolutely don’t need, but for the things that fall between necessary and unneeded, consider how you could store them in the meantime. Your home can be both organized and gorgeous inside and out with just a few simple tricks that could change your life. 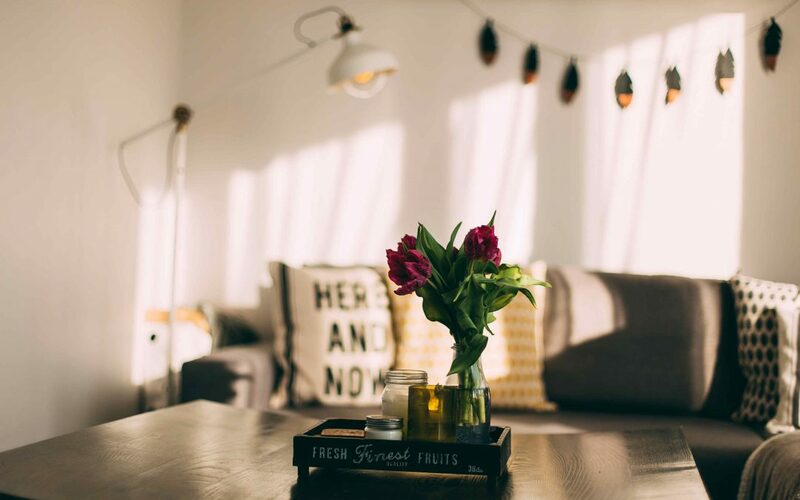 When it comes to Spring organizing in Raleigh, NC, it’s all about the small stuff that makes a HUGE difference in your home. Take a look at this simple cord technique someone used below. You know how much time you’ve spent untangling cords and bundling them up in order to fit inside random drawers? It’s an absolute hassle and you never feel good about how they look! An article from SheKnows.com had a brilliant idea to deal with this issue: cassette tapes. The person purchased a bundle of cassette tapes at a local store for $.50 each and they became the newest and most effective way to handle cord organizing. Check out this photo. All of that extra space! Doing this cleans up your drawers in no time and makes you look pretty smart and resourceful. That’s what we call a win-win, my friends. This is an amazing example of a small idea that can make a huge difference in your home. Think about how many cords you have that can be easily stored now. One of the biggest struggles with Spring Organizing in Raleigh, NC is where to put all of the small, loose stuff that we often lose track of over time. I can figure out where I should put my clothing, but what about all the tiny knicks knacks? One of the keys to great home organizing is modular spacing. Similar to the cords pictured above, which was an example of modular spacing, find new and creative ways to put these knick-knacks in their own special “worlds”. This will make the items easier to reach for you and an easier sight for your guests in the future. This is one of the things a professional organizer in Raleigh, NC would specialize in. Thinking of new and creative ways to store your already owned items! Organizing entire garages and houses can be a hassle, though. With Sane Jane, a professional organizer, you’d have expertise at your side to help you in organizing your items. You don’t have to do alone! With someone in your corner this Spring, home organizing just got a whole lot easier. This Spring, start small and look at the loose items in your home that can be organized more effectively. Sane Jane can provide expertise on everything small, medium or large when it comes to your home. From closets and pantries to entire garages and kitchens, Sane Jane can do it all. We provide organizing services so that you can live a life less cluttered. Call us at (919) 880-0814 or contact us using our form to schedule a visit now!